and improved IT staff productivity. Hyperconverged data centers were once a niche technology that mostly appealed to organizations with specialized needs, such as streamlining the management of small and branch offices. Today, many enterprises are now recognizing the value of transitioning their conventional data centers into hyperconverged facilities. 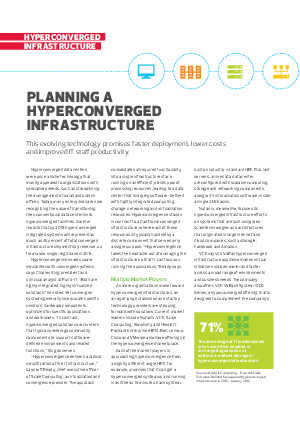 Gartner reports that by 2018 hyperconverged integrated systems will represent as much as 35 percent of total converged infrastructure shipments by revenue, up from a low single-digit base in 2015. Download this white paper to learn more!